Question: My young child insists on fasting [during] Ramadhaan despite it harming him due to his young age and weak health. So can I use harshness with him to break his fast? Response: If he is young and has not attained puberty, then fasting is not obligatory upon him. However, if he is capable of fasting without hardship then he should be instructed to do so. 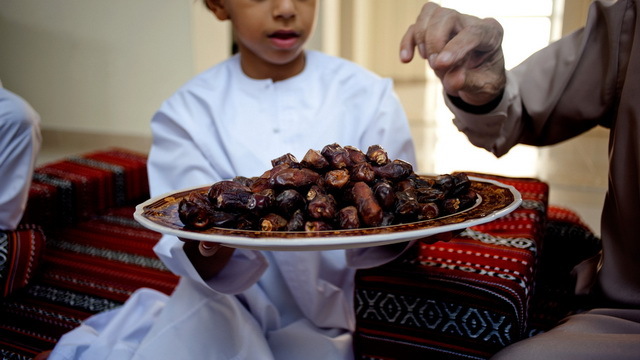 The sahaabah (radhi-yAllaahu ‘anhum) used to accustom their children to fasting, such that when a young one from amongst them would cry, they would distract him from his hunger by giving him a toy. However, if it is established that fasting is harming the child then he must be prevented from it; Just as Allaah (Subhaanahu wa Ta’aala) has prohibited us (the parents) from giving money to them for fear of misuse, then certainly the fear of any harm upon them is more of a reason to prevent them from fasting. However, preventing them should not be through use of force and harshness, for certainly this is not befitting in bringing them up.